If you are like most people across the globe, you probably buy computers that have already been put together by manufacturers such as Lenovo, HP, and Asus. All that you need to do in this case is turn on your PC, and you will begin to use it on a wide variety of tasks. However, there are limitations to what you can actually do on a computer that comes ready-made from the shop. For one thing, there are constraints on the kind of system that you can have. 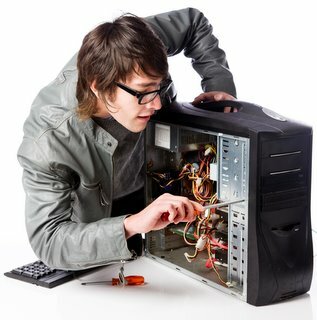 While it is possible to make upgrades, these are, in most cases, limited by the fact that some of the components that are found on these kinds of computers come fixed onto the motherboard and cannot be easily removed. That is the reason why more and more people are resorting to custom-building their computers in order to get exactly the kind of unit, in terms of performance, that they desire. Today, it is possible for hobbyists and others to build, from the ground up, computer units that are way better than can be found in any store. Despite the flexibility and potential performance advantages, there are a number of shortfalls that you can run into when building a PC. One of the most common mistakes that are made by people who are custom-building their PCs is neglecting to make sure that the completed unit has all the drivers that it needs in order to run smoothly. But, what exactly are computer drivers? The importance of making sure that the computer that you are building has all the drivers that it needs in order to operate as you intended it to can never be overemphasized. That is why we recommend that you use DriverAssist, a safe-to-use device driver management utility from SafeBytes that is light on your PC’s resources and has been designed to automatically update all the drivers that are on your computer. Another common mistake that is made by people who are building their computers from the ground is that of, afterwards, neglecting to take care of their systems. Your computer is made up of a wide variety of components, all of which need to work in harmony in order to give you the kind of performance that you desire. That is why we recommend that you use TotalSystemCare from SafeBytes to maximize on the performance of your new computer. TotalSystemCare is a fully featured PC performance utility that is light on your computer’s resources and is easy to use. The best thing about this utility is that it is made by SafeBytes, a Microsoft certified partner, and is, therefore, safe to use on any PC. TotalSystemCare is a great way to boost the performance of your PC by identifying and fixing errors to your computer’s registry and plugging the holes that would otherwise be exploited by adware and tracking cookies to steal your personal information. The important thing to consider here is that, having invested so much in terms of both time and resources to custom build a computer, you owe it to yourself to make sure that it runs at the maximum possible speed.